Just as every song has a story, so does every songwriter. More Precious Than Silver: The God Stories Behind the Songs of Lynn DeShazo tells the stories behind some of today’s most-loved worship songs—and the songwriter who created them. 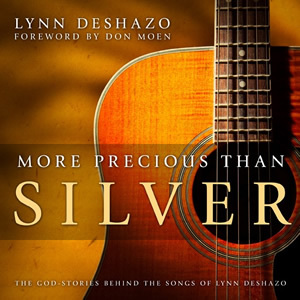 More Precious than Silver: The God-Stories Behind the Songs of Lynn DeShazo is available now!